Do you have a car with headlights which have turned yellow or opaque over time? Cars might not get wrinkles, but cloudy front lights are a tell-tale sign of advancing years, which can not only make a car look dated, but also affect safety. In winter, itís hard enough to see with just a few hours of daylight, without oxidised plastic lenses dimming the beam and scattering the light. 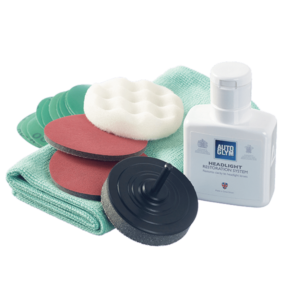 New headlights can be hugely expensive, but Autoglymís restoration kit promises to restore clarity for just £22.99. 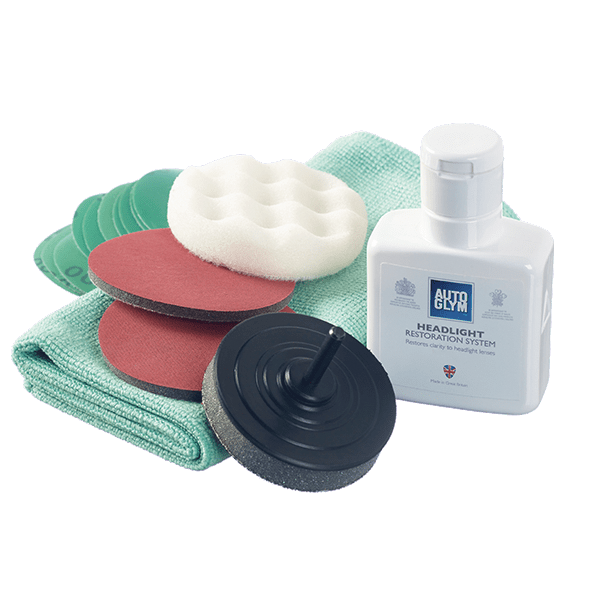 It comes with a fluid restoration compound, and an array of sanding and compounding circular pads. Attach these to your electric drill with the provided universal backing plate, and the instructions will show you how to prepare, refine and polish the headlight. Be sure to mask off any surrounding paintwork first, and then itís a fairly straight forward process which could save you from an MOT failure, and make your car look years younger. But best of all, the improvement in vision as a result of clearer headlights is worth the £22.99 price tag all on its own. If you have ever tried lifting a mountain bike or other heavy, bulky objects into your boot, only to scrape the top of the bumper, youíll know what a sinking feeling that is. Not only does your car look tatty, but thereís also the impending cost to repair it, and the image of a smirking car valuer commenting on how much it will reduce the resale amount when you come to sell it. Thatís where the Carbox boot liner comes in, with its optional MultiMat stopping things sliding around, and covering the bumper as you load items in and out. Made in Germany, and with a ten-year warranty included within the price, Carbox boot liners have a precise fit, with a five-centimetre rim around the edges for added protection. Finished in dark grey, it looks like it came fitted to the car, and you wonít be surprised to learn that Carbox do in fact supply load liners to several car manufacturers. While having a dash cam is all well and good, what if you are hit from behind, or even the side? With the two most common causes of accidents being ëfailing to look properlyí and ëfailing to judge another personís path or speedí and likely to cause accidents at junctions and roundabouts, simply filming the road ahead might not be enough. The Cobra CDR 895D is one solution, with a 1080p forward-facing camera and 720p second camera which can face rearwards. In fact, with a 20ft-long cable, itís actually up to you where best to place it, as you could also use the second camera to film inside the vehicle, or at another angle of your choosing. 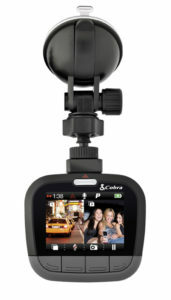 Both videos are recorded simultaneously, and you can even watch both cameras live on the two-inch split-screen display. There are lots of other features too, like a mode which acts as a security camera if it detects motion when your car is parked, and the front camera can provide lane departure and collision warning alerts. If you object to most bike carriers, which clamp onto the frame, the Yakima FrontLoader could be the answer to your prayers. 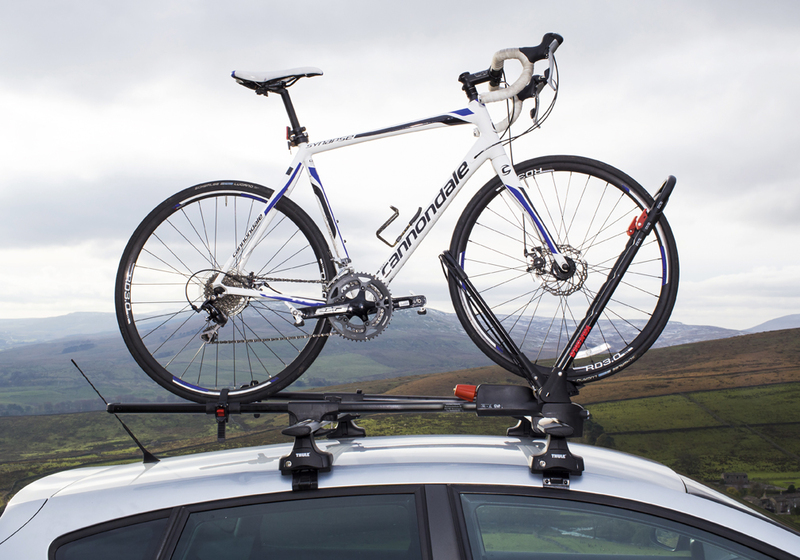 With an ingenious design, the Yakima only holds a bike by its tyres, with a ëYí-shaped set of arms to hold the bike by its front wheel, while a simple strap holds the rear wheel in place. Itís compatible with rims from 20 to 29-inches in diameter and you simply roll the front wheel into place. The FrontLoader even holds the bike in position while you tighten the clamps, with all controls placed at roof rack-level. This makes it hugely versatile, allowing it to hold bikes with front forks or disc brakes which arenít compatible with a carrier designed to hold the front forks. Itís also a great solution for owners who donít want their bicycle frame or cables clamped, potentially causing wear and tear, damage to paintwork or even worse, particularly if itís a delicate carbon frame. Have you ever run your hand over your carís bodywork after cleaning it, only for it to feel rough like sandpaper? If so, your paintwork is contaminated with impurities like baked on dirt, brake dust, bugs, tar and other residue which can be impossible to remove with a normal car shampoo or jet wash. 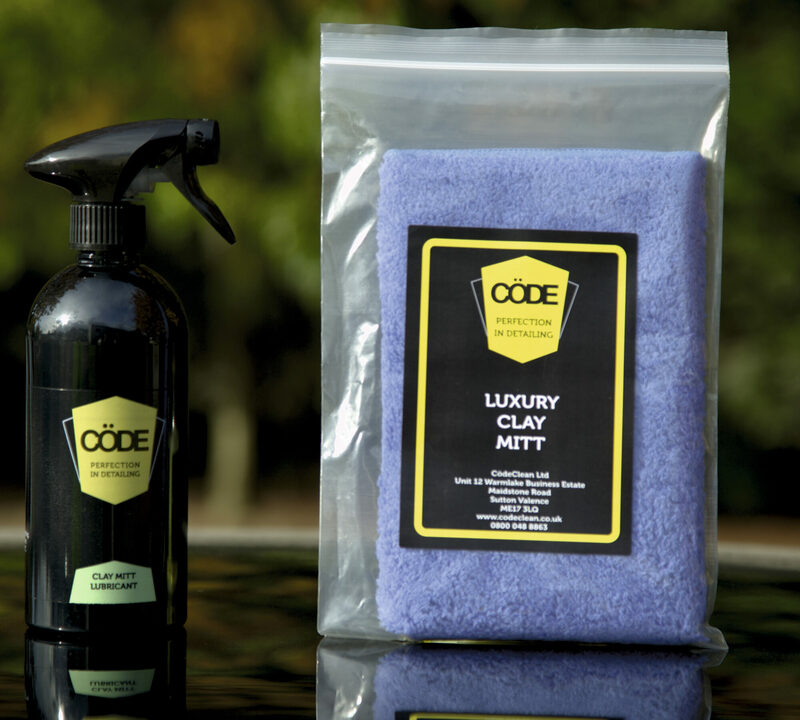 Instead, youíll need a product like the Cˆde luxury clay mitt and a bottle of clay mitt lubricant. The Mitt is finished with a tough microfibre surface on one side, and a rubber polymer on the other, which is used to remove contaminants after spraying each panel with the lubricant. Applying a light, even pressure, itís possible to restore the paintwork to a smooth, glass-like finish. 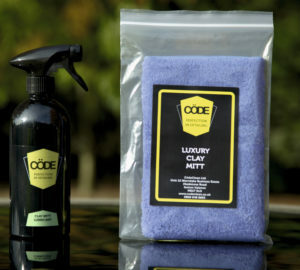 Unlike a traditional clay bar, the Mitt can be used many times, so long as itís rinsed out regularly, making the New Year special offer price of £30.00 including UK delivery particularly good value. 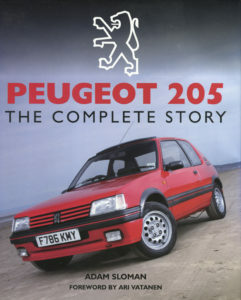 It might just have been a small French runaround, but the Peugeot 205 was designed with such style and proved so good to drive, that it has quickly become a modern classic. Diesel Car contributor Adam Slomanís definitive guide includes its full production history from 1983 to 1999, along with technical specifications and advice on buying, maintaining and modifying the 205 today. 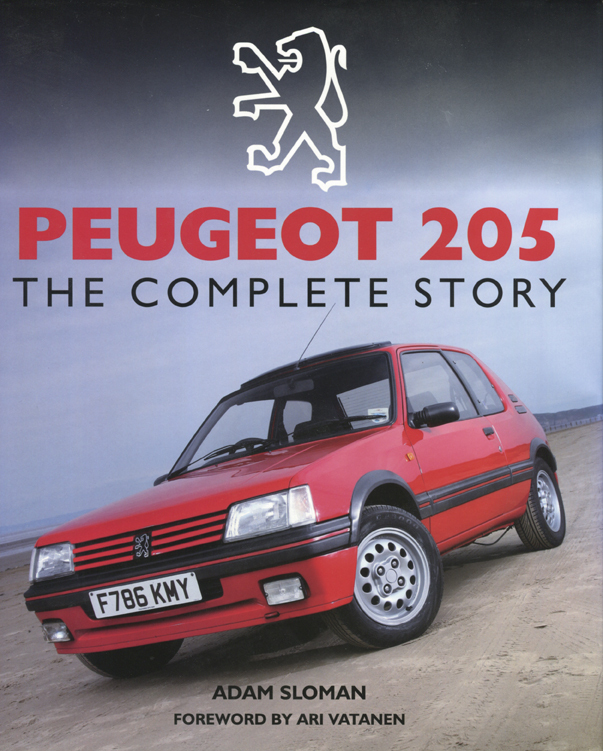 From the birth of the 205 out of the M24 project, to the introduction of the iconic diesel and turbo diesel models, the GTI hot hatches, CTI convertibles, special editions and the Peugeot Talbot Sport 205 T16, itís all there. With some never-before-seen photographs, the book also has an exclusive foreword and interview with rally hero Ari Vatanen and is available from The Crowood Press for £25, either as a hard copy or digital E-Book. While the term ëaftermarket head unití will cause some motorists to instantly think of flashing buttons and dancing graphics, the Pioneer SPH-DA120 is a far more upmarket piece of kit. With a lovely 6.2-inch capacitive touchscreen and just a few subtle controls down its left flank, it looks like a factory-fit system, but its real party trick is Apple CarPlay integration. This means, even in an older car, you can plug in your iPhone and benefit from the apps and controls you normally use on your smartphone, including maps, with attractive pin-sharp graphics. The system can be used by Android users too, and even has an input to plug in a reversing camera (available separately). Other highlights include Bluetooth connectivity, apps for popular services like Spotify, and two USB ports for connecting and charging devices. 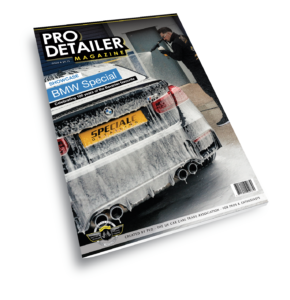 If you love caring for your car, but want to hear exactly how some of the top detailers in the country achieve flawless results, a subscription to Pro Detailer Magazine is a must. Itís full of practical how-to guides, along with showcases and product reviews, so you will soon learn new techniques and which products will work best for you and your vehicle. The fourth issue is a BMW special, so will be a must have for the many owners dedicated to the popular German marque. Have a car with discoloured headlights? Not only can they be an eyesore, but they are potentially dangerous too, so edition four of the magazine will show you how to make them as good as new. To learn everything you need to know to get you started with detailing, the full library of back issues are available as a pack or individually, and can be purchased internationally. If you have often found yourself struggling with a jack, or fiddling with axle stands, the Laser Tools heavy duty plastic car ramps could be a quick and easy solution. 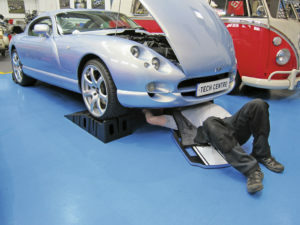 Able to support vehicles weighing up to 2.5 tonnes, simply drive onto the strong plastic ramps to gain 158 millimetres of extra working height under the nose of the car. Measuring 254 millimetres wide, they can accommodate most tyre sizes, including the majority of sports cars and SUVs. With a sturdy design, they are high on grip, have been designed not to move as you drive on, and have a lip to prevent the car rolling off. Once elevated, the Laser Tools Racing body board has 30 millimetres of cushioned material to protect your back, while cut outs are designed to hold your tools in place. As used by the Laser Tools Racing British Touring Car Championship (BTCC) team, itís resistant to splashes of fuel, oil and water. 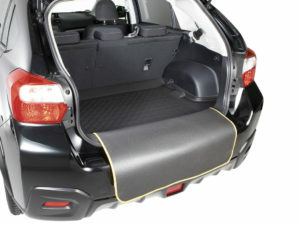 Available from Laser Tools stockists, a pair of plastic car ramps cost £148.66, while the body board is £63.86. More information is available at www.lasertools.co.uk. 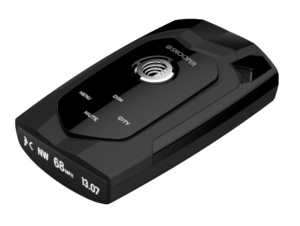 The Snooper 4Zero might look compact, but donít let that fool you, as it actually brings together a few different pieces of speed trap detection technology into one unit. Able to pick-up fixed speed traps like Gatso, Truvelo and Watchman cameras, along with motorway SPECs average speed areas via its GPS, it also has laser and radar detection. Incredibly for such a small device, the 4Zero can detect mobile speed camera locations at a range of up to one mile, with 360-degree laser detection. The Snooperís fixed speed trap database includes locations across Europe, although youíll need to check local regulations for using a radar detector. The 4Zero has an easy-to-read white on black display, and also uses voice and audible alerts to keep you informed.